Pecan cream pie is a flaky, tender pie crust filled with a thick & creamy pecan mixture. This whipped cream pie is a delicious Fall twist to traditional cream pie and makes for an excellent Thanksgiving dessert pie! Dovetailing Tip: Use the pie crust that you prepared on day 1. Use the remainder of the pecans that were prepared from day 3. Use the cream you whipped from day 1. Pour into the pie crust and smooth out the top. 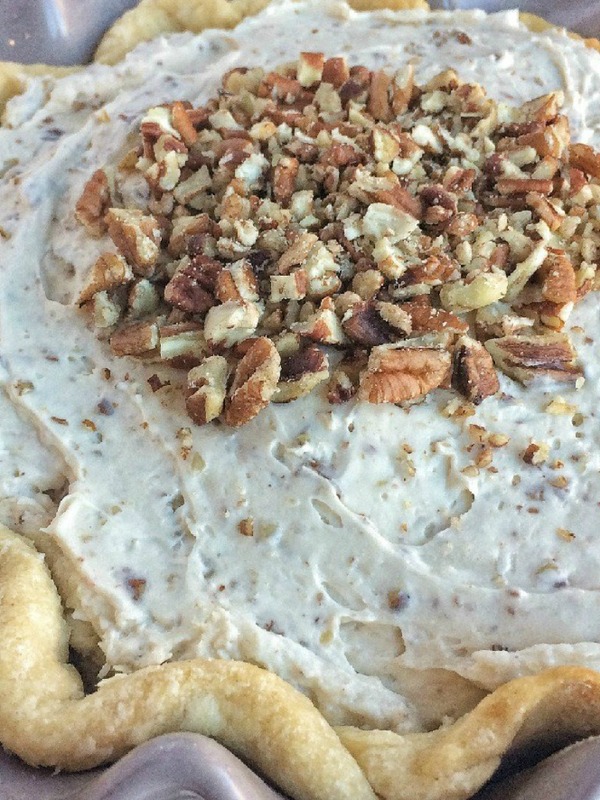 Garnish the top of pie with remaining 1/2 cup chopped pecans. Refrigerate for at least 4-6 hours before serving. It's even better if you refrigerate overnight.